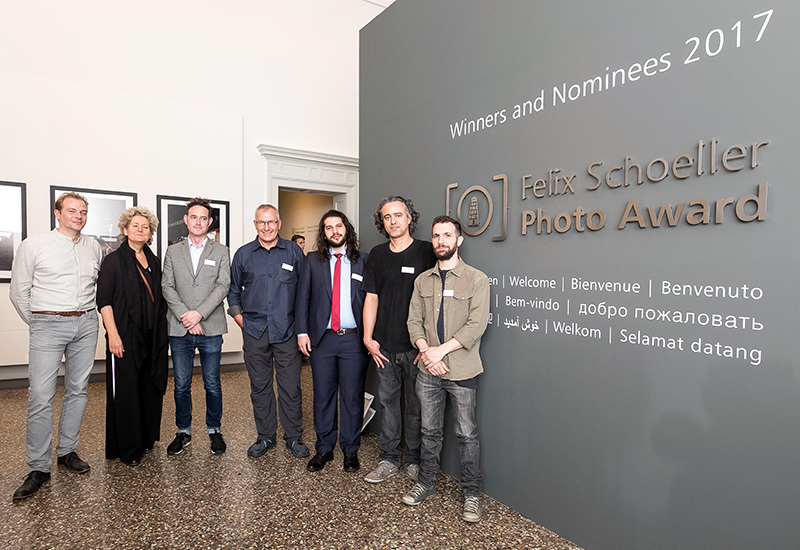 The presentation of the prizes of this year’s Felix Schoeller Photo Award took place on 14 October in the Museum of Cultural History in Osnabrück. Amongst the audience of around 80 invited guests were all five category winners, the winner of the Emerging Photographer Award and the winner of the Audience Prize. Ten finalists of this year’s competition were also present at the event. The photographers represented a total of 11 nations from around the world. The honours were bestowed on the winners by Dr. Bernhard Klofat, CEO of the Felix Schoeller Group, and Michael Dannenmann, the chairman of the jury of five experts. They were assisted by Simon Plate from Olympus, the sponsor of the Emerging Photographer Award, and Marc Hartog, CEO of the British Journal of Photography, which had called for votes to determine the winner of the Audience Prize. The winners in the individual categories were Rodrigo Illescas (Portrait), Saskia Boelsums (Landscape/Nature), Mario Brand (Architecture/Industry), Alain Schroeder (Photojournalism/Editorial) and Matt Hulse (Freestyle / Conceptional Photography). Each of these happy winners received a cash prize to the value of 2,000 euros. Sponsored by Olympus, the 5,000-euro prize for the best emerging photographer went to the jury’s choice, Syrian photographer Hosam Katan; the prize was presented by Simon Plate. Thanks to the support and the staging of an online poll by the competition’s international media partner, the British Journal of Photography, the newly established Audience Prize went to Brazilian photographer Guilherme Bergamini for his entry titled ‘Education for all’. A lot of things have happened! The jury for the "German Peace Prize for Photography" is complete. Open for entries for the first time – the German Peace Prize for Photography. The Felix Schoeller Photo Award 2019 is also opening the competition to fashion photographers.